Francisco Cervelli (pronounced "sir-VEL-lee")... Played for Team Italy during the 2009 and 2017 World Baseball Classics (his father was born in Italy)...Hosted a two-hour Cervelli Culinary Craft Camp in August 2015, which brought 30 kids, ages 10 to 12, from local YMCA summer programs to Pittsburgh's North Side Children's Museum to learn about cooking and painting... Received the 2013 "Project Sunshine Outstanding Volunteer-of-the-Year Award"...Project Sunshine is a nonprofit organization that provides free educational, recreational and social programs to children and families facing medical challenges. Led all Major League catchers with a .376 on-base percentage...Set career highs in home runs, RBI, OPS (.809) and extra-base hits (30)...Hit .302 (29-for-96) with runners in scoring position and .333 (18-for-54) with runners in scoring position and two outs...Was a finalist for the Silver Slugger award for N.L. catchers...Shared the National League lead with 21 caught stealings (also Jorge Alfaro)...Threw out 21 of the 48 runners attempting to steal against him (44%), had eight passed balls, three errors and a 3.96 catcher's ERA (793.2ip/349er)...Also made five appearances (four starts) at first base; his start there on 8/4 vs. St. Louis was his first since 4/20/16...His 11 home runs from the catching position were the most by a Bucco backstop since Russell Martin hit 15 in 2013...Made his fourth straight Opening Day start for the Pirates and went 2-for-6 with three RBI...Had a career-high six RBI on 4/25 vs. Detroit (game 1)...Had 20 RBI at the end of April; just the seventh Pittsburgh player to produce 20 or more RBI in the first month of the season (March/ April)...Hit his fifth home run on 5/2 at Washington - matching his total from 2017...Served as the leadoff batter on 5/13 vs. San Francisco and went 1-for-4 with a walk; the first Pirates catcher to bat first since Jason Kendall on 10/3/04...Left the game on 5/15 vs. Chicago (AL) with a right forearm contusion after being hit by a pitch in the third inning...Did not play on 5/16...Hit third in the starting lineup on 5/17 vs. San Diego; just his second time batting third in the starting lineup with the Pirates and first time since 4/22/16...Was hitting .302 prior to hurting his hand diving back into first base on 5/17...Played in his 600th career game on 5/23 at Cincinnati and hit his seventh home run, matching his single-season career high...Connected off Kenley Jansen for first career pinch-hit home run on 6/7...Took a foul tip off his shoulder and left jaw on 6/9 at Chicago (NL); missed the next three games...Returned to action on 6/13 at Arizona and started six of the next seven games thru 6/21...Was placed on the 7-day concussion D.L. on 6/22; was transferred to the 10-day D.L. on 6/30...Was recalled from rehab and reinstated from the D.L. on 7/8...Went back on the 7-day D.L. on 7/14 due to post-concussive symptoms... Was transferred to the 10-day D.L. on 7/25...Was reinstated from the D.L. on 7/26...Snapped an 0-for-20 streak with an RBI-single in his final at-bat on 7/28...Went 3-for-5 with five RBI and connected off Pierce Johnson for his fourth career grand slam on 8/10 at San Francisco...Hit .308 (24-for-78) with 10 RBI in 24 games during the month of August...Recorded his second stolen base of the season on 9/4 vs. Cincinnati. Was Pittsburgh's Opening Day catcher for the third straight season...Homered in his third game (11th at bat) on 4/7 vs. Atlanta...Recorded a three-run triple on 4/28 at Miami; his first triple since 4/3/16...Missed four games between 4/30 and 5/3 due to a foot injury...Returned to action on 5/4 at Cincinnati and went 2-for-4 with a double and an RBI...Hit safely in six straight games between 5/4-10 (9-for-22, .409), raising his season average from .203 to .250...Tied career high (fourth time) with four hits on 5/25 at Atlanta....Produced five consecutive hits on 5/24-25...Appeared in his 500th career game as a catcher on 5/29...Took a foul tip off his mask in the ninth inning on 6/6 at Baltimore and left the game with concussion-like symptoms... Was placed on the 7-day concussion D.L. on 6/7...Was reinstated on 6/14...Had two passed balls for the second time in his career on 6/19 at Milwaukee (also on 5/12/11 vs. KC while catching with the Yankees)...Was removed from the starting lineup on 6/20 due to flu-like symptoms...Was placed on the 7-day D.L. on 6/22 (retro to 6/20) with concussion-like symptoms...Was reinstated from the D.L. on 7/3 and started that night in Philadelphia...Hit a first-inning grand slam and had a career-high tying five RBI (also 5/8/10) on 7/9 at Wrigley Field...Batted second in the lineup on 7/9 and became the first Pittsburgh player ever to hit a grand slam in the first inning from the first, second or third spot of the starting lineup - the first to do so in the Majors since Mike Trout on 4/20/13...Committed a throwing error on 7/19 vs. Milwaukee - his first error in 41 games since 4/24...Had five straight hits on 7/18-19 and four straight multi-hit games between 7/17-21...Had his second triple on 7/21 at Colorado...Left the game on 8/13 at Toronto with left wrist discomfort and missed the following two games...Was placed on the 10-day D.L on 8/17 (retro to 8/14)... Was reinstated on 8/25, but injured his left quadriceps muscle that night and returned to the 10-day D.L. on 8/26 with left quad irritation and missed remainder of the season. Led all Major League catchers with a .371 on-base percentage...Made 95 appearances (94 starts) behind the plate and two appearances (one start) at first base...Set career highs in walks and stolen bases...Hit .385 (20-for-52) against LHP and had eight hits in his final 11 at bats against left-handed pitchers...Was Pittsburgh's Opening Day catcher for the second straight season and went 2-for-3 with a triple (10th career)...Played first base for the final inning on 4/17 vs. Milwaukee - his first game there since 9/26/14 ...Made his lone start at first base (sixth career) on 4/20 at San Diego... Reached base safely in 25 of his first 27 games thru 5/7 (.422 OBP)...Agreed on a three-year contract extension on 5/17 and went 3-for-5 with a stolen base that night against Atlanta...Left the game on 6/10 vs. St. Louis during his at bat in the seventh inning...Was placed on the 15-day disabled list on 6/14 after undergoing surgery to repair the hook of the hamate bone in his left hand...Caught a 4.0-inning simulated game on 7/5 at St. Louis...Took BP on the field for the first time on 7/8...Began a rehab assignment with Triple-A Indianapolis on 7/14...Went 4-for-10 with three walks and an RBI in three rehab games from 7/14-17...Was recalled from rehab assignment and reinstated from D.L. on 7/19...Made start behind the plate on 7/19 vs. Milwaukee and went 0-for-2 with a walk and a sacrifice fly...Was removed from the game on 8/2 at Atlanta after being hit in the head by a pitch in his second at bat...Left the game on 8/10 with left wrist discomfort ...Returned to action on 8/13 at Los Angeles (NL) and went 3-for-4...Hit safely in a season-high nine straight games from 8/5-19 (12-for-28, .429)...Connected off Chase Anderson on 9/22 at Milwaukee for his lone home run (first since 9/30/15 - 388 plate appearances between homers)...Hit .257 (43-for-167) with a .373 OBP in 49 games before suffering hand injury and .270 (43-for-159) with a .380 OBP in 52 games after returning on 7/19. Made 128 appearances (124) starts behind the plate - both career highs and the most starts by a Pittsburgh catcher since Jason Kendall made 145 in 2004...His 128 games behind the plate ranked second behind Yadier Molina (134) in the National League and was tied for fourth among all Major League backstops...Threw out 23 of the 105 runners attempting to steal against him (22%)...Ranked third among N.L. catchers with his 23 caught stealings...Committed seven errors (six throwing/one fielding) and had 10 passed balls...Ranked fourth in MLB with a .296 average as a catcher and 10th among all National League batters with a .370 on-base percentage...Hit .357 (56-for-157) in the seventh inning and later; the best mark in the Majors...Ranked second on the team with five triples; had a total of four career triples prior to 2015...Was the Opening Day starter behind the plate and went 1-for-3 with a walk on 4/6 at Cincinnati...Hit safely in each of his first six games thru 4/14 (7-for-20, .350)...Connected off Miami's David Phelps for first home run of the season on 5/5...Ranked first among N.L. hitters with a .377 average during the month of May...Swiped third base on 6/9 vs. Milwaukee (his seventh career stolen base)...Caught 56.0 consecutive scoreless innings from 6/10-17, believed to be the longest such streak in team history and the longest streak in MLB since the Orioles' Gus Triandos (52.1) in 1957 (June 23-29)...Was ejected by home plate umpire Vic Carapazza on 7/11...Left the game on 7/20 at Milwaukee with a right wrist contusion...Tied career high with four hits on 8/18 vs. Arizona (third time)...Was ejected by home plate umpire Alan Porter on 8/27 at Miami after discussing balls and strikes...Connected off Michael Wacha for second career grand slam on 9/30 (game one) at PNC Park - the first for a Pittsburgh catcher since Ryan Doumit on 5/4/11. 2015 POSTSEASON: Was the starting catcher and went 1-for-3 with a HBP in the Wild Card Game vs. Chicago on 10/7. Made 39 starts at catcher and five at first base in final season with the Yankees...Made his first career start and appearance at first base on 4/8 vs. Baltimore...Suffered a right hamstring injury running to first base in the fourth inning on 4/13 vs. Boston...Was placed on the 60-day disabled on 4/15 (retroactive to 4/14) with a Grade 2 right hamstring strain (missed 55 team games)...Was reinstated on 6/17 and batted .315 (41-for-130) with 10 doubles, two home run and 12 RBI in his final 44 games...Hit safely in a career-high 10 straight games from 7/10-28 (12-for-34, .353)...Started eight straight games at catcher from 7/21-28, his longest such stretch since a career-high 10 straight starts behind the plate in 2010 from 5/17-27...His home run on 7/27 vs. Toronto was his first long ball since 4/25/13 vs. Toronto (65 at bats)...Swiped lone base (sixth career) on 8/13 at Baltimore; his first big league stolen base since 7/16/11...Recorded his fourth career triple on 8/31 at Toronto - his first in the Majors since 6/20/10...Missed 13 games from 9/3-15 with cluster headaches...Hit .382 (13-for-34) in his last 11 games, beginning on 8/31. 9/6/11 vs. Baltimore. Started at C in 4/13 loss vs. Baltimore, but moved to 2B in the top of the ninth… marked his second career appearance at 2B (also 7/31/11 vs. Baltimore). Had a streak of 28 straight plate appearances without a strikeout from 4/4-17 (credit: Elias). Was removed from 4/26 win vs. Toronto during the at-bat of the first batter of the game after being hit on a foul tip… was placed on the 15-day disabled list on 4/27 with a fractured right hand and transferred to the 60-day D.L. on 5/1, missing the Yankees' final 140 games of the season. Received a 50-game suspension on 8/5 for violating Major League Baseball's Joint Drug Prevention and Treatment Program. Was 0-for-1 with 1 R and 1 BB in three games as a September call-up with the Yankees...Made his season debut in 9/4 loss at Tampa Bay, entering the game as an eighth-inning defensive replacement at C (did not bat)...Scored the game-winning "walk-off" run after drawing a two-out walk in the 12th inning on 10/2 vs. Boston...did not play in the Yankees' previous 25 games...Spent the majority of the season with Triple-A Scranton/Wilkes-Barre, batting .246 (87-for-354) with 2 HRs and 39 RBIs in 99 games...posted a .993 fielding percentage (5 E, 767 TC) wile appearing in a career-high 96 games behind the plate...caught 27-of-90 (30.0 percent) potential basestealers...Following the season, appeared in 21 games with Magallanes in the Venezuelan Winter League...hit .305 (18-for-59) with 16 Rs, 5 doubles, 2 HRs and 14 RBIs. Hit .266 (33-for-124) with 17R, 4 doubles, 4HR, 22RBIand 9BB in 43 games (35 starts at C) with the Yankeesin 2011 ... in his 35 starts, the Yankees went 25-10 ... hadthe fourth-lowest catchers ERA (3.50) among catcherswith at least 300.0 innings of work. ... Began the season on the 15-day disabled list witha fracture in his left foot, missing the team's first 22games ... suff ered the injury on 3/2 vs. Houston at GMSField in Tampa in his second plate appearance of aspring training game, fouling a ball off his foot ... wasreturned from rehab and reinstated from the 15-daydisabled list on 4/29. ... Made his season debut in 5/1 win vs. Toronto, going0-for-2 with 1SH and 1RBI. ... Hit grand slam and was 1-for-5 with 2R in 5/8 winat Texas ... was his first career grand slam and justhis second career homer (also 6/24/09 at Atlanta) ... snapped a 307AB homerless stretch ... Derek Jeteralso homered in the game (snapping his own 259ABhomerless stretch) ... according to the Elias SportsBureau, it marked the fi rst time since 10/2/91 that a pairof Major League teammates each ended streaks of atleast 250 homerless at-bats in the same game (KansasCity¡¦s Hal McRae-297AB and Jim Eisenreich-254AB) ... Elias also notes it was the first time two Yankees hadaccomplished the feat since Juan Bonilla (264) andBobby Meacham (310) on 8/1/87 vs. Detroit (10-5 loss). ... Stole two bases in 5/30 win at Oakland after having just one prior stolen base in hisentire career (7/17/10 vs. Tampa Bay). ... Made his first career appearance at 2B in 7/31 win vs. Baltimore ... fielded his onlychance cleanly. ... Hit three home runs in four games from 8/30-9/6 (14AB) after hitting just 2HR in thefi rst 176 games (471AB) of his career. ... Finished the season on the disabled list after suff ering a concussion in a home platecollision with Nick Markakis on 9/8 at Baltimore ... returned to New York on 9/11and on 9/12 was seen by Dr. Kirk Roberts¡Xa neurologist at NewYork-PresbyterianHospital specializing in concussion syndromes ... was diagnosed with a concussion(MRI results were negative) and placed on the 15-day D.L. on 9/13 with a concussion(retroactive to 9/9). Hit .271 (72-for-266) with 11 doubles, 3 triples and 38RBI in 93 games (80 starts at C) withthe Yankees...the Yankees were 44-36 in his starts at catcher...marked the most hitsand RBI by a Yankees catcher other than Jorge Posadasince Joe Girardi in 1997 (105H and 50RBI)...his 3 tripleswere the most by a Yankees catcher since Girardi in 1998(4)...caught 8-of-63 (12.7%) runners attempting to steal...Hit .545 (6-for-11) with 17RBI with the basesloaded...batted .381 (16-for-42) with 24RBI and a .435OBP with RISP and two outs, ranking third in the Majorsin average in such circumstances (min. 40PA)...Made his rst career Opening Day roster...hit safely ineach of his first four starts, six of his first seven and 10 ofhis first 12, batting .360 (9-for-25) in April...Made his first start-and appearance-of the season, in4/10 win at Tampa Bay, when CC Sabathia held the Rayshitless through the rst 7.2 innings...Appeared at 3B as eighth-inning defensive replacementin 5/2 win vs. Chicago-AL, marking his first careerappearance at a position other than C...Hit his first career triple, going 3-for-3 with 2R in 5/4 winvs. Baltimore...became the third Yankee in the last 15years with a triple and bunt single in the same game (alsoDerek Jeter-1996 and 2009; and Alfonso Soriano-2002)-credit: Elias...Established a career high with 5RBI in 5/8 win at Boston,going 3-for-4 with 1BB...the 5RBI were the most by aYankees catcher since Jorge Posada on 9/6/06 at KansasCity (6RBI)...were also the most RBI by a Yankees catcherin a game vs. Boston since Yogi Berra had 8RBI on 7/3/57 at Yankee Stadium and themost RBI by a Yankees catcher at Fenway Park since Berra on 5/29/54 (6RBI)...Started 10-of-15 games between 5/20-6/1 when Jorge Posada was on the disabledlist, including four straight games from 5/20-23, as the Yankees went 7-5 and startersposted a 3.82 ERA over the stretch...Went 23 consecutive games without an extra-base hit from 5/20-6/17...snapped thestretch with a seventh-inning double in 6/18 loss vs. the Mets...Established a career high in hits in 8/29 win at Chicago-AL, going 4-for-4 with 1R and1 double...Reached base safely in eight straight plate appearances (two singles, 6BB) over twogames from 9/10-11 at Texas...established a career high with 3BB on 9/10 and tied themark on 9/11...Appeared in one game during the postseason, starting Game 4 loss of the ALCS vs.Texas (0-for-2). Hit .298 (28-for-94) with 13R, 4 doubles, 1HR and11RBI in 42 games (25 starts at C) over two stints withthe Yankees (5/5-7/8, 9/1-10/4)... threw out 13-of-21potential base stealers (61.9%)... at the time of hisfirst start at catcher on 5/8, was the third-youngestcatcher to start a game in the Majors in 2009 (23 yearsold)... Pablo Sandoval (Giants, 22) and Lou Marson(Phillies, 22) had each made starts behind the plateas of 5/8/09 (credit: Elias Sports Bureau)... the Yankeeswere 17-8 when he started behind the plate...Was recalled from Double-A Trenton on 5/5 whenJorge Posada was placed on the disabled list... madehis first appearance of the season in 5/7 loss at TampaBay, entering game at catcher in the fifth inning andgoing 0-for-2...Made first start of the season and collected his firstMajor League hit-a fourth-inning single off JeremyGuthrie-while calling CC Sabathia's CG shutout in5/8 win at Baltimore, going 1-for-2 with 1R, 1BB and1SH... according to the Elias Sports Bureau, became thesecond Yankees catcher to call a complete-game shutout within his first two MajorLeague starts, joining Thurman Munson who did so in his debut on 8/8/69, catchingAl Downing's four-hit shutout vs. the Athletics...Made his second start in as many days on 5/9 vs. Baltimore, catching PhilHughes... according the Elias Sports Bureau, the Hughes-Cervelli combination wasthe first for the Yankees prior to September callups with each player under the ageof 24 since Steve Kline and Thurman Munson on 6/1/71...Hit first Major League home run in 6/24 win at Atlanta, a solo home run off RHP KrisMedlen...Was optioned to Triple-A Scranton/Wilkes-Barre on 7/7 when Jose Molina returnedfrom the disabled list... returned to the Yankees on 9/1... in 17 September games(two starts at C), was 7-for-16 (.438) with 3R, 1 double and 2RBI... hit game-winning"walk-off" RBI single with one out in the ninth inning of 9/16 win vs. Toronto... was hisonly plate appearance after entering the game defensively in the eighth at C... washis first career "walk-off" hit, becoming the eighth different Yankee to collect a"walk-off" hit in 2009...Began the season with Double-A Trenton, hitting .190 (11-for-58) with 8R, 1 double, 2HR, 7RBI and 6BB in 16 gamesat C... in 21 games with Scranton/WB, batted .275 (19-for-69) with 7R, 5 doubles, 1HR, 7RBI and 3BB... was placedon the disabled list from 8/4-25 with a left wrist contusion... made two rehab appearances with the GCL Yankees...Named to Yankees playoff roster in ALDS and ALCS, appearing in two games and striking out in his only at-bat...Played with the Lara Cardinals in the Venezuelan Winter League following the season, batting .214 (3-for-14)with 3R and 1 double in six games... participated in the WBC prior to the season, appearing in three gameswith Team Italy and going 1-for-7 (.143). Appeared in three games (one start at C) with the Yankees, going hitless in fiveat-bats as a September callup in his first Major League action... was recalled fromDouble-A Trenton prior to 9/15 win vs. Chicago (AL)... made his Major League debutin 9/18 win vs. Chicago (AL), entering the game as a defensive replacement in theeighth at C (did not bat)...Was one of three Yankees to make their Major League debut in the 9/18 game (alsoJuan Miranda and Humberto Sanchez)... according to the Elias Sports Bureau, wasthe first time three different Yankees made their ML debut in the same game since3/31/03 when Hideki Matsui, Jose Contreras and Jason Anderson each debuted inthe Yankees' 8-4 win at Toronto...Made his first Major League start (at catcher) in 9/25 loss at Toronto, going 0-for-3against 20-game winner Roy Halladay... appeared as a defensive replacement inthe season's final game on 9/28 at Boston (Game 2), going 0-for-2 in the 11-inningloss...Began the season on the minor league disabled list after suffering a broken rightwrist in a home plate collision with Tampa Bay's Elliot Johnson on 3/8 at George M.Steinbrenner Field (then Legends Field)... was taken to St. Joseph's Hospital in Tampafor X-rays and had his wrist casted that night...Was reinstated from the minor league D.L. on 6/16 and assigned to Single-ATampa... appeared in three games with Tampa, batting .300 (3-for-10) beforesuffering a left knee sprain and returning to the D.L...Returned to action on 7/30 with the GCL Yankees, appearing in three games (2-for-8,1 double)... was transferred to Trenton on 8/4 where he batted .315 (23-for-73) with5 doubles and 8RBI over his final 18 regular season games... also appeared in sixpostseason games for the Eastern League-champion Thunder, batting .200 (4-for-20)with 1 double and 2RBI...In 27 total minor league games combined at GCL, Tampa and Trenton, batted .308 (28-for-91) with 6 doubles and 9RBI... caught 7-of-14 (50.0%) potential base stealers...Batted .333 (1-for-3) with 1R, 3BB and 1HBP in four spring training games with theYankees before suffering the broken wrist...Named the Yankees' "Best Defensive Catcher" by Baseball America following theseason for the third straight year...Played winter ball with the Cardenales de Lara of the Venezuelan Baseball League,batting .267 (16-for-60) with 2 doubles, 1HR and 5RBI in 26 games... caught 7-of-19(36.8%) potential basestealers. Hit .279 (81-for-290) with 34R, 24 doubles, 2 triples, 2HR, 32RBI and 36BB in 89 games with Single-ATampa... led all Florida State League catchers with a 41.0% caught stealing rate (41-for-100) and a .997fielding percentage (2E, 743TC)... ranked second with 667 putouts and 74 assists and tied for fourth with89 games played... tied for first in doubles, ranked third in runs, hits and walks and placed fourth in RBIamong all FSL catchers (min. 40G at C)...Participated in the FSL All-Star Game, entering the game defensively in the seventh at C (was 0-for-1)... wasalso named to the FSL postseason All-Star team...Caught the entire game in a 20-inning loss vs. the Clearwater Threshers on 4/17, recording 24putouts... fashioned a career-high 10-game hitting streak from 4/27-5/10, batting .500 (16-for-32) with 4doubles and 4RBI during the span... hit his first career grand slam and recorded a career-high 5RBI in 5/15win at Dunedin... was placed on the disabled list from 8/10-9/5 with a left knee sprain...Played for the Cardenales de Lara of the Venezuelan Baseball League, batting .212 (7-for-33) with 2R, 2 doubles,10BB and 1SH in 16 games. Batted .309 (42-for-306) in 42 games with short season Single-A Staten Island...led the team with a .397OBPand a .426 slugging percentage and ranked second in batting average...posted a .340 batting average at home(18-for-53) and hit .323 vs. right-handed pitchers (30-for-93)...was named to the American League team forthe NY-Penn League All-Star Game...helped lead the team to their second consecutive NYPL Championship. Played in 24 games for the GCL Yankees, batting .190 (11-for-58) with 1HR and 9RBI...reached base safely (viahit or walk) in 14 of 21 games with an offcial plate appearance. In his second season, batted .216 (19-for-88) in 40 games with the DSL Yankees. Made his professional debut with the Yankees' Dominican Summer League team, batting .239 (37-for-155)in 52 games. July 26, 2018 Pittsburgh Pirates activated C Francisco Cervelli from the 7-day injured list. July 8, 2018 Pittsburgh Pirates activated C Francisco Cervelli from the 10-day disabled list. July 5, 2018 Pittsburgh Pirates sent C Francisco Cervelli on a rehab assignment to Altoona Curve. July 1, 2018 Pittsburgh Pirates placed C Francisco Cervelli on the 10-day disabled list. Concussion. June 22, 2018 Pittsburgh Pirates placed C Francisco Cervelli on the 7-day disabled list. Concussion. October 2, 2017 Pittsburgh Pirates activated C Francisco Cervelli from the 10-day disabled list. August 25, 2017 Pittsburgh Pirates activated C Francisco Cervelli from the 10-day disabled list. August 17, 2017 Pittsburgh Pirates placed C Francisco Cervelli on the 10-day disabled list retroactive to August 14, 2017. Left wrist inflammation. July 3, 2017 Pittsburgh Pirates activated C Francisco Cervelli from the 10-day disabled list. June 29, 2017 Pittsburgh Pirates placed C Francisco Cervelli on the 10-day disabled list. Concussion. June 22, 2017 Pittsburgh Pirates placed C Francisco Cervelli on the 7-day disabled list retroactive to June 20, 2017. Concussion. June 14, 2017 Pittsburgh Pirates activated C Francisco Cervelli from the 7-day disabled list. June 7, 2017 Pittsburgh Pirates placed C Francisco Cervelli on the 7-day disabled list. Concussion. July 19, 2016 Pittsburgh Pirates activated C Francisco Cervelli from the 15-day disabled list. July 14, 2016 Pittsburgh Pirates sent C Francisco Cervelli on a rehab assignment to Indianapolis Indians. June 11, 2016 Pittsburgh Pirates placed C Francisco Cervelli on the 15-day disabled list. Broken hamate bone in left hand. November 12, 2014 New York Yankees traded C Francisco Cervelli to Pittsburgh Pirates for LHP Justin Wilson. 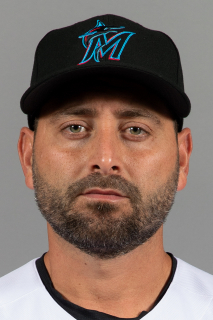 October 7, 2014 C Francisco Cervelli assigned to Navegantes del Magallanes. June 17, 2014 New York Yankees activated C Francisco Cervelli from the 60-day disabled list. June 11, 2014 New York Yankees sent C Francisco Cervelli on a rehab assignment to Trenton Thunder. June 8, 2014 New York Yankees sent C Francisco Cervelli on a rehab assignment to Scranton/Wilkes-Barre RailRiders. June 5, 2014 New York Yankees sent C Francisco Cervelli on a rehab assignment to Tampa Yankees. November 4, 2013 New York Yankees activated C Francisco Cervelli from the 60-day disabled list. September 28, 2013 New York Yankees placed C Francisco Cervelli on the 60-day disabled list. Sore right elbow. August 5, 2013 New York Yankees placed C Francisco Cervelli on the restricted list. May 1, 2013 New York Yankees transferred C Francisco Cervelli from the 15-day disabled list to the 60-day disabled list. April 27, 2013 New York Yankees placed C Francisco Cervelli on the 15-day disabled list. Fractured right hand. October 30, 2012 C Francisco Cervelli assigned to Navegantes del Magallanes. October 19, 2012 New York Yankees activated C Francisco Cervelli. September 1, 2012 New York Yankees recalled C Francisco Cervelli from Scranton/Wilkes-Barre Yankees. April 4, 2012 New York Yankees optioned Francisco Cervelli to Scranton/Wilkes-Barre Yankees. October 11, 2011 Francisco Cervelli roster status changed by New York Yankees. September 13, 2011 New York Yankees placed C Francisco Cervelli on the 15-day disabled list retroactive to September 9, 2011. Concussion. April 29, 2011 New York Yankees activated C Francisco Cervelli from the 15-day disabled list. April 26, 2011 Tampa Yankees sent C Francisco Cervelli on a rehab assignment to Scranton/Wilkes-Barre Yankees. April 21, 2011 Francisco Cervelli assigned to Tampa Yankees. March 30, 2011 New York Yankees placed C Francisco Cervelli on the 15-day disabled list retroactive to March 22, 2011. Fracture in his left foot. November 17, 2009 C Francisco Cervelli assigned to Cardenales de Lara. November 9, 2009 New York Yankees activated C Francisco Cervelli. September 1, 2009 New York Yankees recalled Francisco Cervelli from Scranton/Wilkes-Barre Yankees. August 25, 2009 Francisco Cervelli roster status changed by Scranton/Wilkes-Barre Yankees. August 22, 2009 sent C Francisco Cervelli on a rehab assignment to GCL Yankees. August 5, 2009 Scranton/Wilkes-Barre Yankees placed C Francisco Cervelli on the 7-day disabled list retroactive to August 4, 2009. July 8, 2009 New York Yankees optioned Francisco Cervelli to Scranton/Wilkes-Barre Yankees. May 5, 2009 New York Yankees recalled Francisco Cervelli from Trenton Thunder. May 5, 2009 Francisco Cervelli roster status changed by New York Yankees.